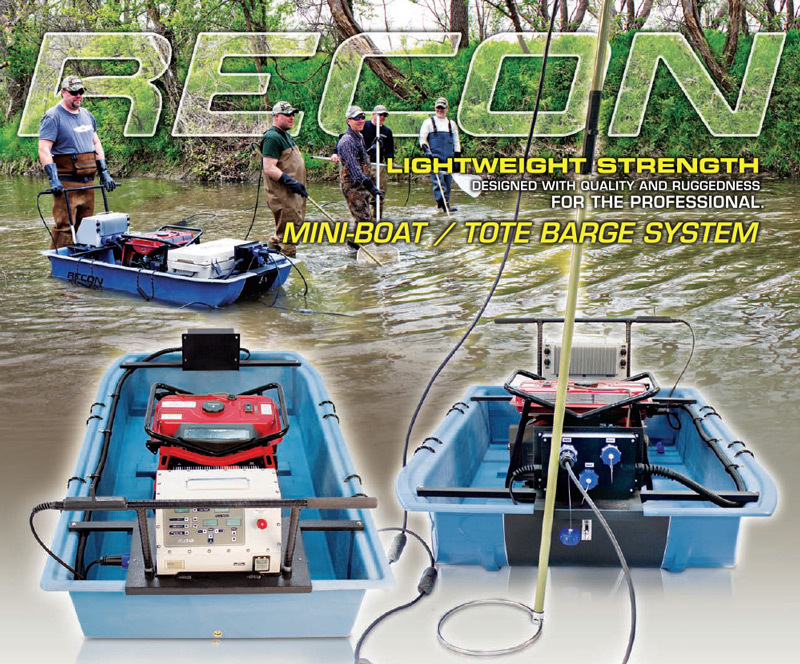 We have developed two solutions for biologists routinely sampling in habitats requiring more than a backpack electrofisher but less than a traditional, motor-driven boat electrofisher. 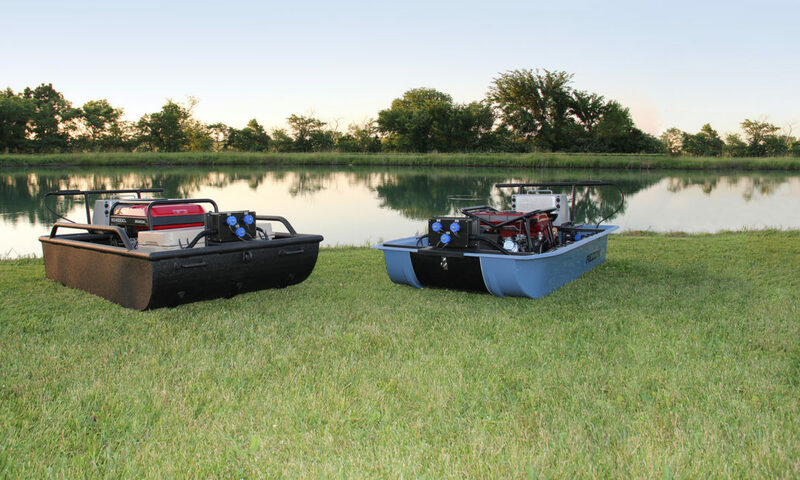 Commonly called mini-boats, push barges, or tote barges, use either our Stealth or Recon models for sampling in shallow water habitats. Crafted from 1/8th aluminum, the Stealth is built like a Sherman tank, and can take any beating you throw at it. The Recon is crafted from sturdy fiberglass and is much lighter than the Stealth. You can’t go wrong with either model. 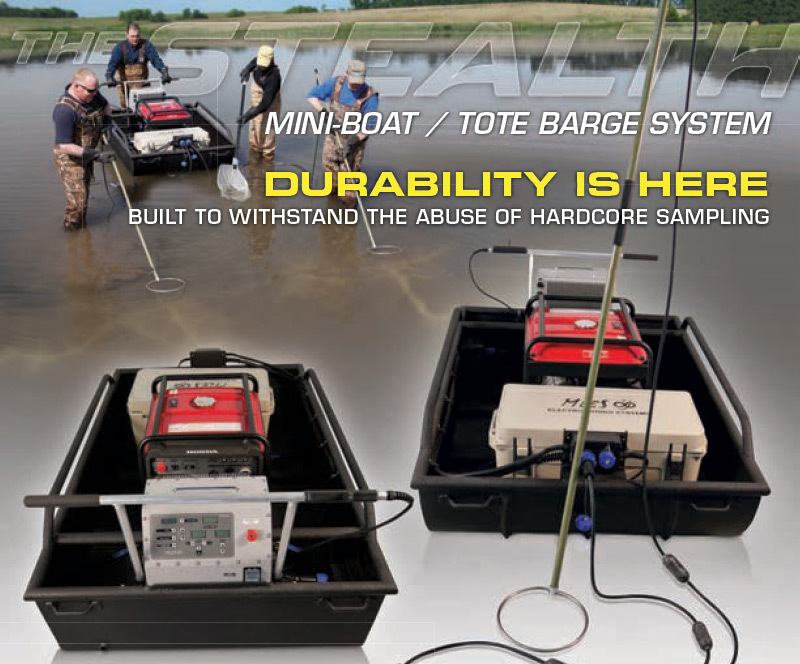 You can count on Midwest Lake Electrofishing Systems to provide you quality choices that best fit your sampling needs.